HyperX Cloud Revolver S Gaming Headset Goes Official in PH For PHP 7500! Home / headphones / kingston / news / HyperX Cloud Revolver S Gaming Headset Goes Official in PH For PHP 7500! 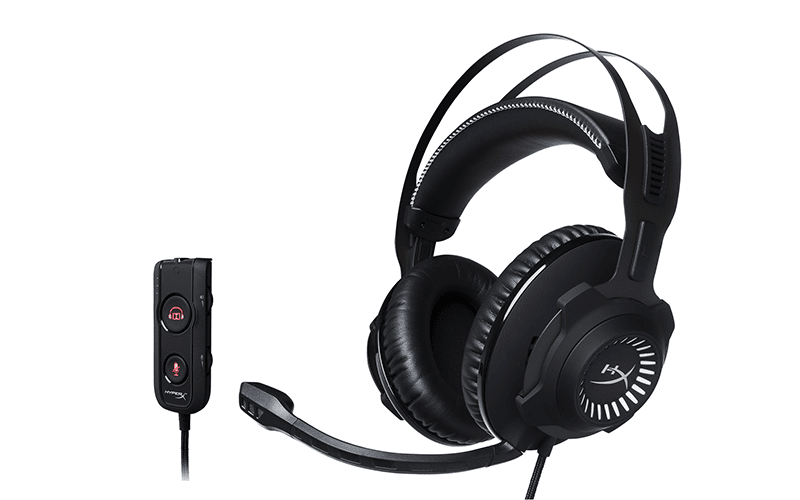 Kingston is set to make the highly-anticipated HyperX Cloud Revolver S Gaming Headset w/ plug and play Dolby Surround 7.1 audio available for Filipino gamers. As a quick recap, the Revolver S is a full-sized closed backed headphone w/ USB plug and play technology which can provide Dolby 7.1 Surround audio experience in a push of a button. The Dolby tech has can mute audio, regulate mic, and control output levels. It also comes with 3 sound profiles including bass boost, flat, and vocal EQ modes. The HyperX Cloud Revolver S has a big 50 mm directional drivers (speakers), signature memory foam w/ wider headband for comfort, and noise-cancelling microphone. It's compatible on PC, PS4, PS4 Pro, and devices w/ USB Audio support and 3.5 mm plug. The Revolver S will be available for PHP 7,500 w/ two-year limited warranty and support.